After a long, over a decade absence, the Jurassic Park franchise returns in full swing with the newest edition of the series, Jurassic World. The film is set to open huge this weekend, and for that reason it makes sense that it’s the only wide release coming to theaters this Friday. But is the franchise re-launch worth your time and, more importantly, money this weekend? Let’s find out what awaits In Theaters June 12, 2015! The only thing opening this weekend wide is once again Jurassic World, so let’s just talk about that one real quick, shall we? The film isn’t terrible, guys, which is just wonderful! Even if it does end up being just a ton of fun, it’s certainly better than the alternative. I mean, we almost got a Jurassic Park movie with human spliced velociraptor super soldiers with machine guns on their shoulders. 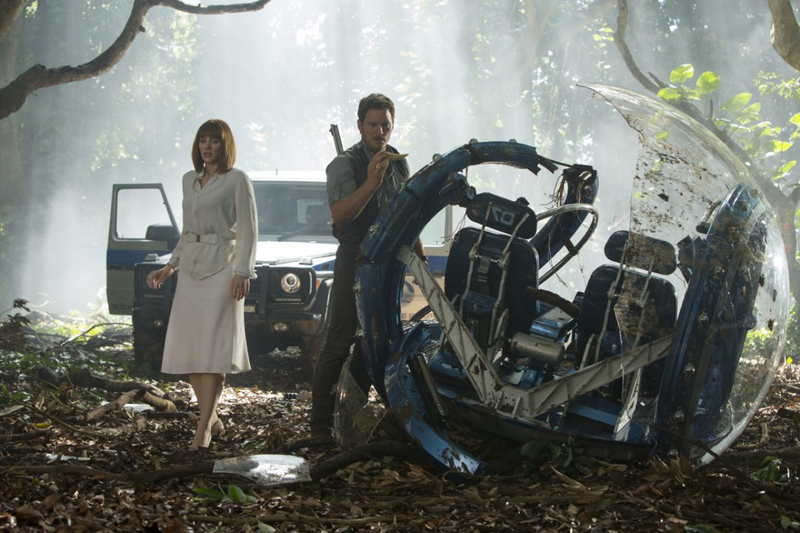 No matter what Jurassic World might do to the series, we dodged a big bullet there. That does it for this week’s In Theaters! Be sure to let us know what you plan on catching in the comments! I can’t believe this opened with $200+ million. I did not expect that. Very Impressive. gonna go see this one tomorrow.